Brexiteers, it seems, can convince themselves of pretty much anything that has absolutely no foundation in fact and those opposing HS2 seem to have a similar viewpoint. HS2 is about capacity or the looming lack of it on the rail network as much as it is about speed. Although only similar in an abstract way HS2 is akin to reopening the Great Central Line; a line that should never have been closed, certainly with the benefit of hindsight. Railways are becoming an increasingly important way for people and freight to move around and we are light years away from the Beeching era when closing railways and love of the motor car and truck marked a progressing society. Congestion all but brings the UK to a standstill often these days and pollution from the internal combustion engine is choking our communities and indeed killing us all. HS2 is about the future of travel. Brexiteers want us all to live in the 1950s so they bang on about their anti-HS2 movement as they bang on about their ludicrous Brexit. 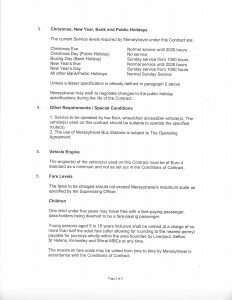 *The link above will take you to my 3rd 2014 posting about Merseytravel’s long-standing overplaying their hand and there are links within it to postings 1 and 2 in the series. * The Halton Curve has happened but as I write there are no regular passenger trains are using it. * Work on progressing a rail connection into Skelmersdale is being taken forward but there are no guarantees that the project will attract the huge funding required. * New rolling stock for Merseyrail is to be delivered in 2020. 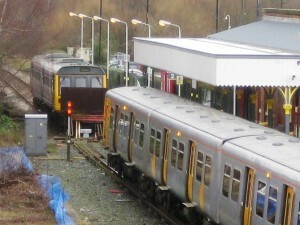 Ormskirk’s Station where Merseyrail and Northern trains meet. Having been stuck in one of Ormskirk’s traffic jams a few days ago my thoughts turned to the East Lancashire town of Colne where a motorway just pours out into it and the ever gridlocked Harrogate over the Pennines in Yorkshire. 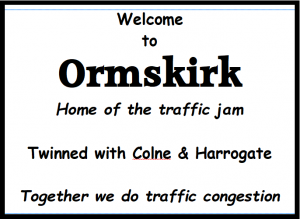 Together with Ormskirk, they all seem to suffer from the same problem – traffic being funnelled right through a busy town as opposed to each having a bypass of some sort. 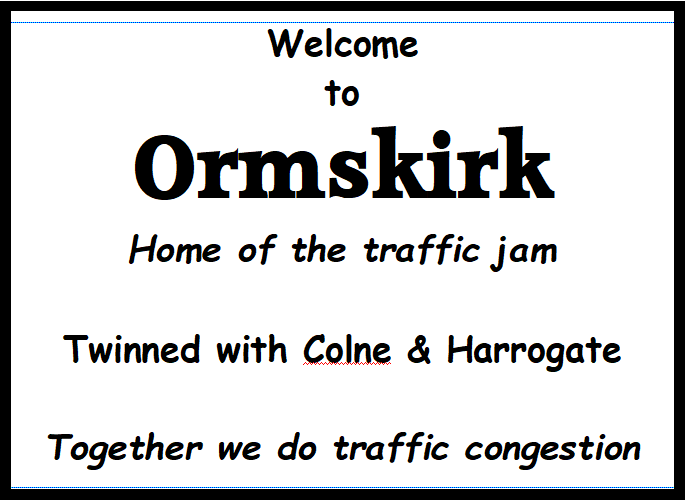 My mind then, being in a mischievous mood, stated to think about a new town entry sign for Ormskirk and its twin northern towns. How does this look? Well yes, just a bit of fun on one level but also a nudge to Lancashire County Council on another. Oh, and by the way, it would also help a lot if trains were run from Ormskirk to Southport via reconnecting the Burscough south curve. 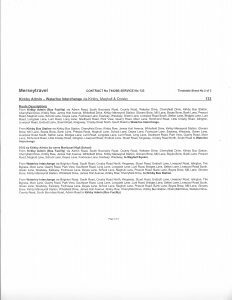 I understand that Merseytravel has told the Champion newspaper that it isn’t the case that they are reducing the service based on the publicly available tender document/service specification that is doing the rounds on this and at least one other website where a Maghull resident first spotted it. 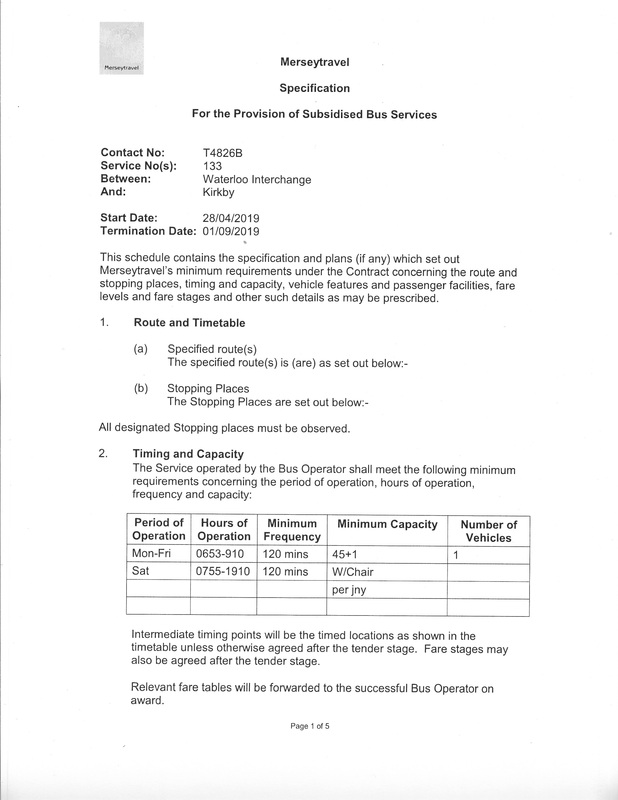 They say that the cut-back timetable [in the service specification that I hold] was one of the options considered when the tender was put out, but it wasn’t the one taken up and that there will actually be no change to the present timetable. 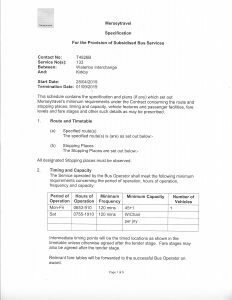 They have however confirmed that a new operator (Hatton’s) will be taking on the route as of April. So we now know that the service spec’ found by the local resident and passed to me was genuine and that it was one of the options being considered. What any additional options were, other than stay as is, of course, if there were more than two we do not know. 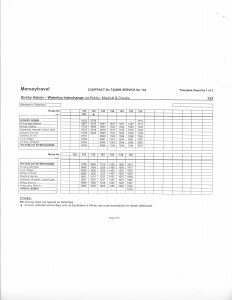 That Merseytravel was seriously considering a reduction in the 133 is a given as they had gone well down the planning route to the point of having a draft timetable to implement. But why consider reducing this route other than for the rather obvious reason of not enough money to spread around the publicly subsidised bus routes across Merseyside? Was some extra funding found for the route at the last minute? 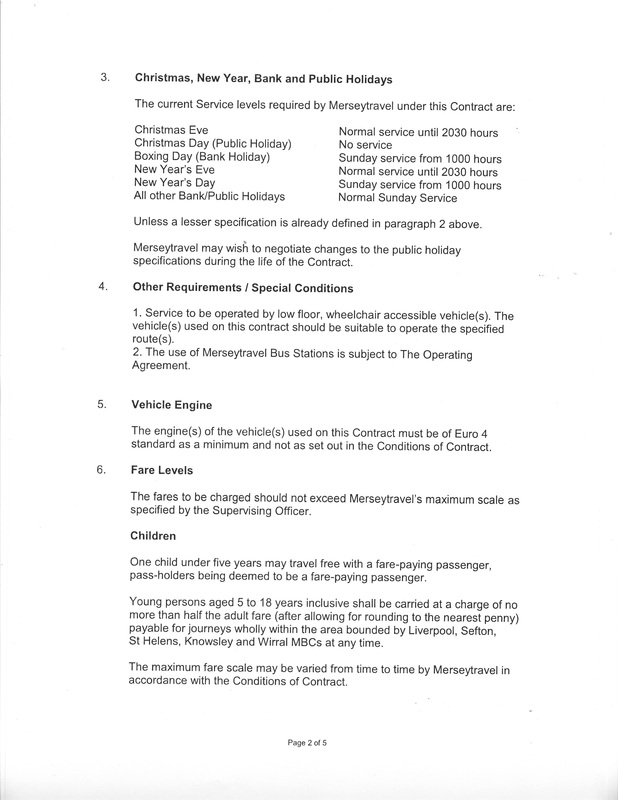 Was Merseytravel aware of a negative backlash if they took the reduction plan further? Did the tenders to run the route come in lower than the price they had been expecting thereby creating the scope to keep things as they are? I guess we are unlikely to get to know the back story to this matter but however, we got to the point of no service reduction in the 133 bus route it looks like it was a close shave but a very welcome one at that. 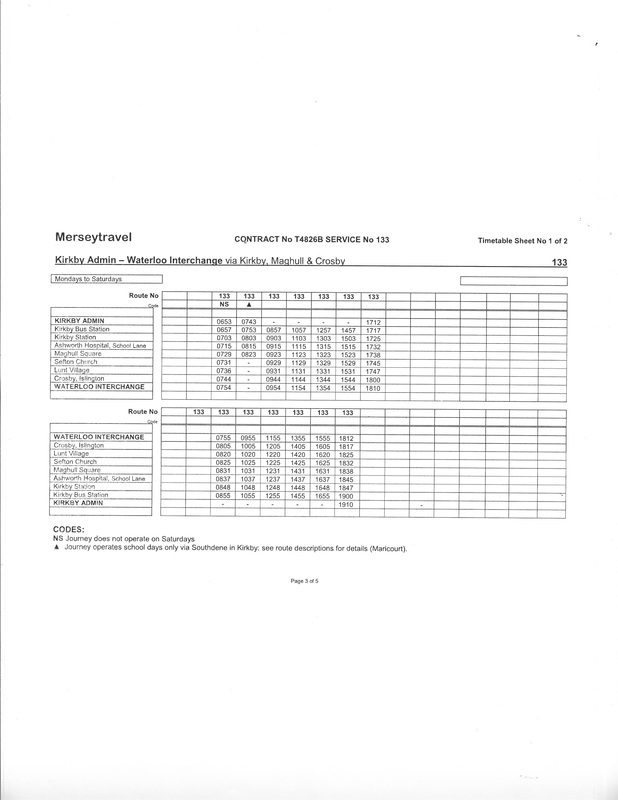 Oh, and by the way, the service spec’ that has not now had the timetable reduction within it implemented says that the start of the new contract is on 28th April 2019 and that it ends on 1st September 2019. Is that still the case and if it is will there be another challenge for the 133 bus route later this year? Liverpool to London in 85 MINUTES? HS2 was always going to lead to some cities feeling left out of the high-speed rail network and Liverpool fell into that category when routing it from Manchester to Leeds became the sadly unsurprising favoured direction. Since then much lobbying has been taking place to try to get Liverpool connected to HS2 and this latest plan by TfN looks to be a credible offer to Government. Will it get the go-ahead? Goodness knows in the strange political times in which we presently live, must be the answer! Having said that we are told that the Conservatives are reaching out to Brexit leaning Labour enabler MP’s to offer them things to get them on board the Tory train off a cliff edge. 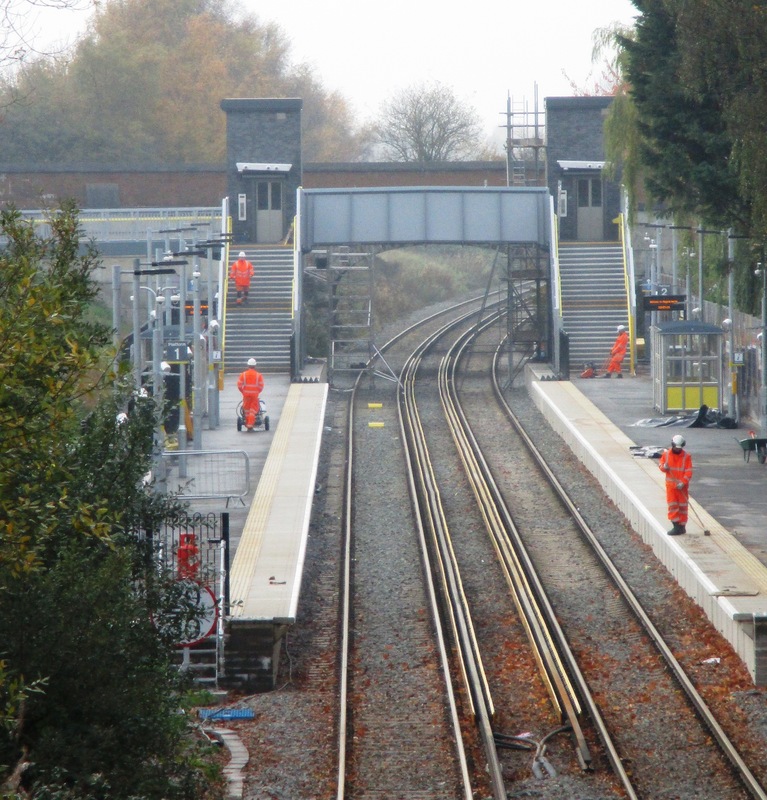 Will a promise of funding for this high-speed rail link buy any of them off? Not surprisingly reactions to this news have been ones of concern from users of the bus route. However, things have taken a surprising twist in that a fellow local councillor posted on the Official Maghull Community Page of Facebook yesterday that Merseytravel has told him that the 133 bus, although getting a new operator, the times & days will remain as they were. 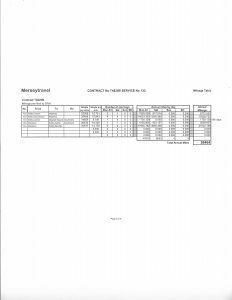 This raises the question of whether the 5 page Merseytravel service specification document for the reduced service (which I hold an electronic copy of) is genuine or whether Merseytravel has actually and thankfully just had second thoughts. 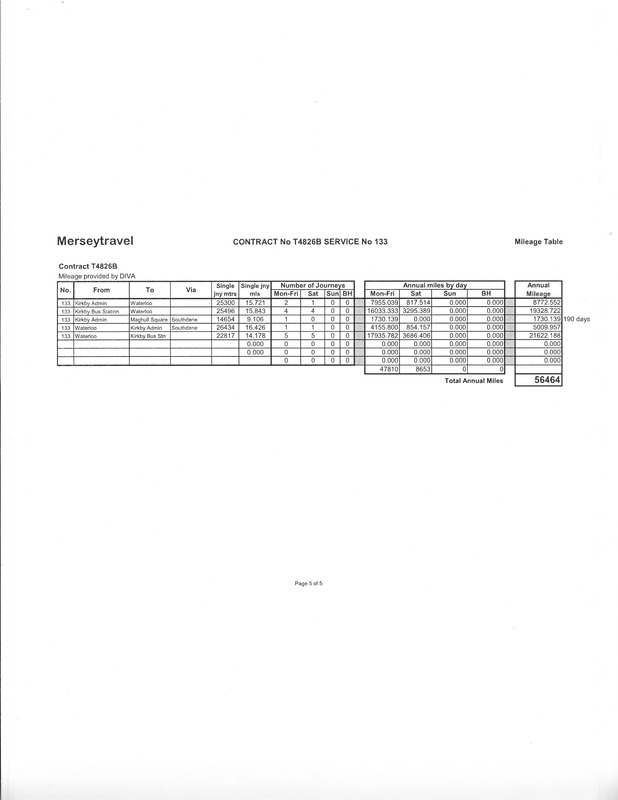 I have taken steps to try to validate whether the document is a genuine Merseytravel one or not and will make the outcome of those enquires known. As someone who is not a conspiracy theorist, my gut tells me that Merseytravel has simply had a welcome change of heart but until we know for sure…………. 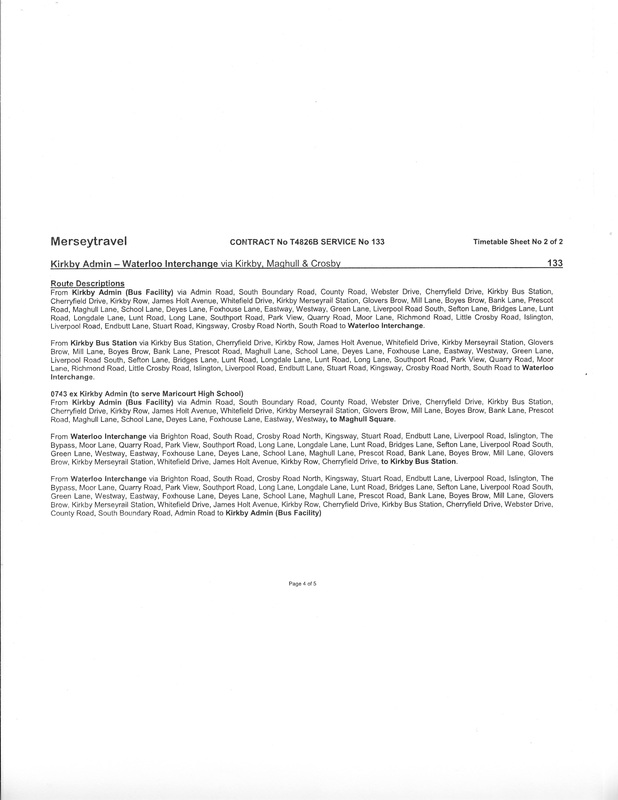 Please click on the various pages of the scanned document to be able to read it.